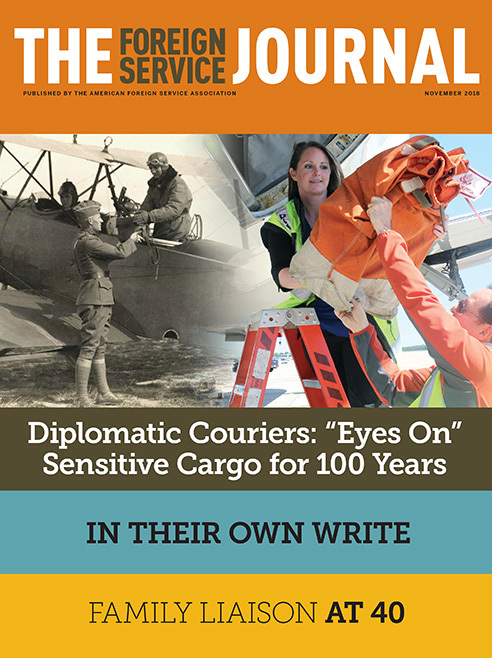 A veteran courier salutes the Diplomatic Courier Service’s first 100 years and a career that offers both satisfaction and the opportunity to serve. The couriers’ mission has not changed, but their scope of work and responsibility have expanded dramatically. During the 1960s FS women writers from the Greatest Generation banded together to polish their craft and get their work published. Each generation has redefi ned and built on the work of earlier colleagues, sharing a commitment to safeguard and improve the well-being of our Foreign Service community.